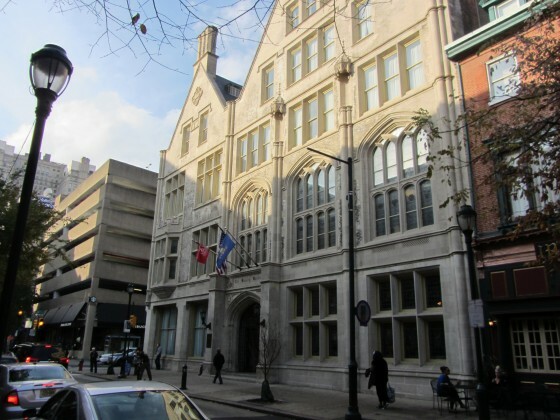 A unique brick and limestone structure imbues the corner of 12th & Walnut with a markedly gothic appeal. Here stands the five-story Beasley Building, distinguished by the incongruent pair of steep gables on its front exterior and its cathedral-like appearance. Said appearance is no accident. Though the Beasley has seen its fair share of occupants, this location was actually in regular use as early as 1829, when the doors to the Tenth Presbyterian Church opened. The church location is shown here below, in an image taken from Hexamer & Locher’s 1858 Philadelphia Atlas. 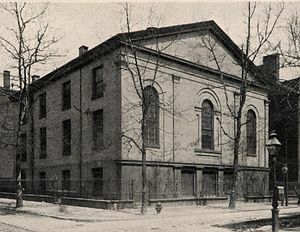 According to the Tenth Presbyterian Church website, the Tenth Church established a ‘daughter church’ at 17th & Spruce in 1855. The two churches worked in close concert with one another, even swapping ministers bi-weekly. 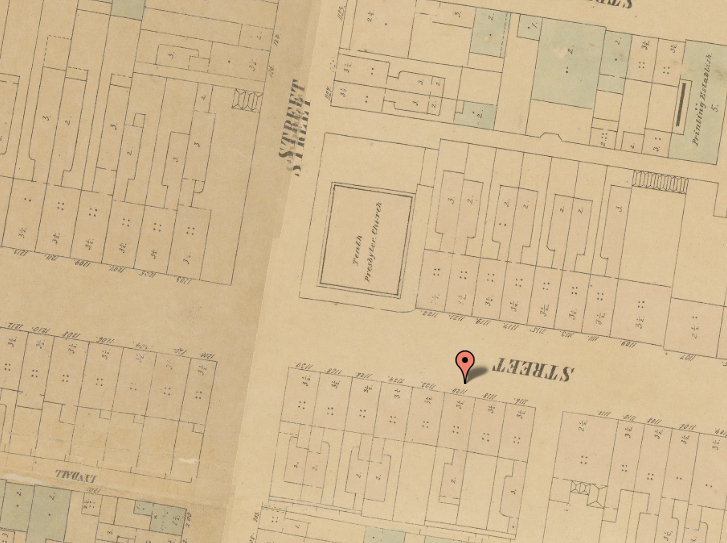 The photo below, taken from the Tenth Church website, shows the 12 & Walnut location, probably in the late 1880s. By 1893, flagging membership at both churches led to a merging of congregations and a permanent move to the Spruce Street location. The original structure would be razed and replaced in short order, as evidenced by the 1894 datestone still visible today. In that year, the Episcopal Church House would be erected, giving the building its present form. 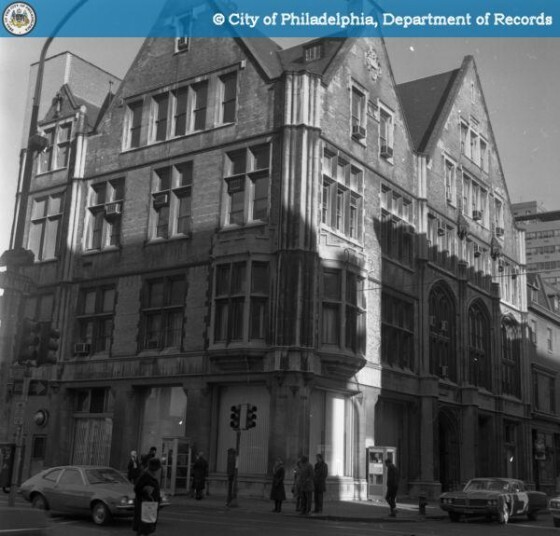 The building is shown here below in a photo courtesy of Philaphilia. Philaphilia goes on to report that the Episcopalians moved to Rittenhouse in 1921, selling the building to the Philadelphia Chamber of Commerce. 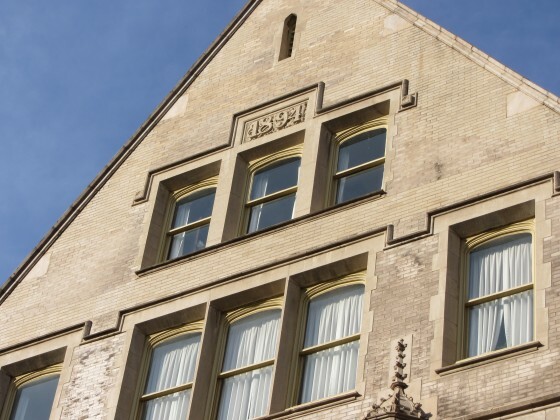 The Chamber of Commerce, appearances would have it, did little to no upkeep of the building over the next 25 years before selling to Jefferson Medical College in 1946, according to The Beasley Firm. The 1971 photo below, taken from the Department of Records, shows the building under the care of Jefferson Medical College and decidedly worse for the wear. 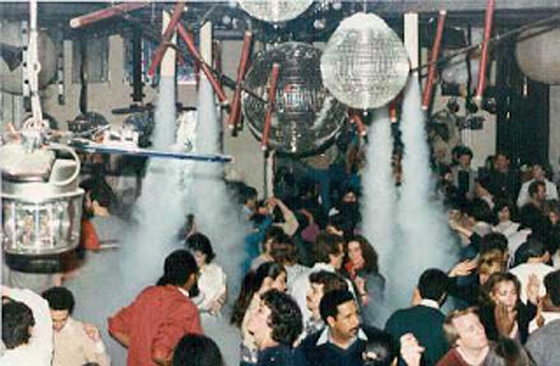 According to the Beasley Firm’s website, its founder decided to put a stop to all the fun in 1986. 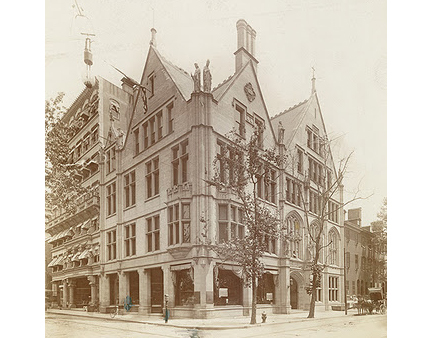 The site tells that in a claim made to the Common Please Court seeking to purchase and restore the building, “Jim Beasley, an Episcopalian by birth, argued that the current tenants were using the Church House ‘in a manner which is immoral, improper and objectionable.’” The Beasley firm dedicated $5M to an architectural repair of its law firm’s new home, restoring the building to its present condition. © 2019 OCF Realty, LLC. All rights reserved. © 2019 BrightMLS, All rights reserved. Information Deemed Reliable But Not Guaranteed. The data relating to real estate for sale on this website appears in part through the BrightMLS Internet Data Exchange program, a voluntary cooperative exchange of property listing data between licensed real estate brokerage firms in which OCF Realty participates, and is provided by BrightMLS through a licensing agreement. The information provided by this website is for the personal, non-commercial use of consumers and may not be used for any purpose other than to identify prospective properties consumers may be interested in purchasing. Some properties which appear for sale on this website may no longer be available because they are under contract, have sold or are no longer being offered for sale. Some real estate firms do not participate in IDX and their listings do not appear on this website. Some properties listed with participating firms do not appear on this website at the request of the seller. Web Design by The 215 Guys.